It is that time of year again when Long Eaton Round Table’s Santa Sleigh will be going around the towns of Long Eaton, Breaston and Sawley, collecting for charity. 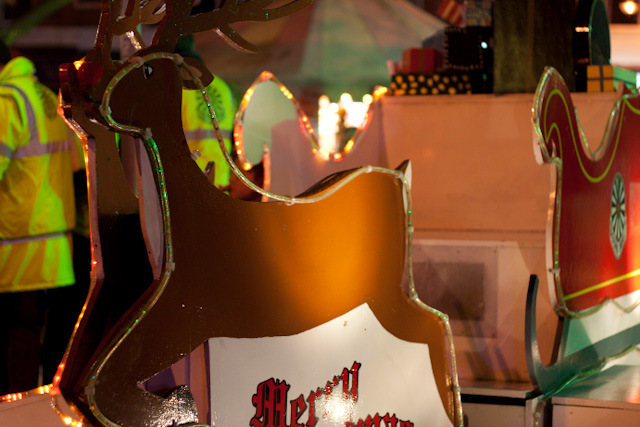 The sleigh, complete with Santa and his helpers, will also be in the centre of Long Eaton on the Saturdays of 4th, 11th, and 18th of December. The route plan showing where we will be and when can be found by clicking on this link. Please note that while we try our best to reach every street on the plan, sometimes circumstances dictate that we are unable to get to them all before it gets too late in the evening for the kids to come and meet Santa. 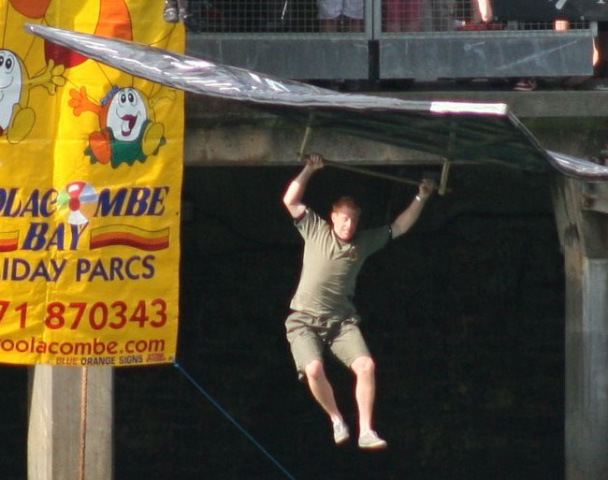 Tablers from Long Eaton Round Table thought it would be a wizard wheeze to enter the annual Ilfracombe Birdman competition to see how far a chap can fly – unpowered – off the end of a pier before splashing down into the drink. Chief pilot was Squadron Leader Ashley ‘Ginger’ Campbell, accompanied by wingmen Flight Lieutenant’s Dave ‘Buster’ Welch and Paul ‘Chocks-Away’ Haskins. Groundcrew was Flight Sgt Mark ‘Pops’ Shaw. The chaps built their splendid Mark 2 Black Arrow the day before, and painted it in Long Eaton Round Table colours and markings. Dispensing with a test flight, the chaps gathered in the Officers Mess for a few G&T’s and a sing song. Up before the larks, the chaps were roused from their beds by their WAAF”s. After a few preflight checks, the crew transported Air Force 461 to the take off area on the pier. After witnessing a few sorry efforts from competing squadrons, Ginger completed a perfect take off and flew for several fractions of a second. But it was enough for Long Eaton Round Table to clinch the trophy. Well done chaps! Here’s a video of the epic flight.